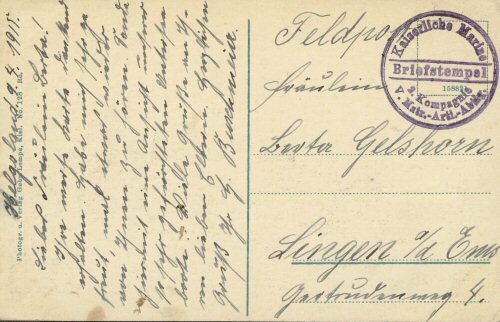 Postally used 9 Apr 1915. 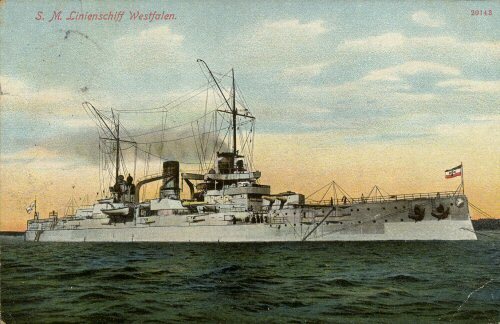 Imperial Navy Post. 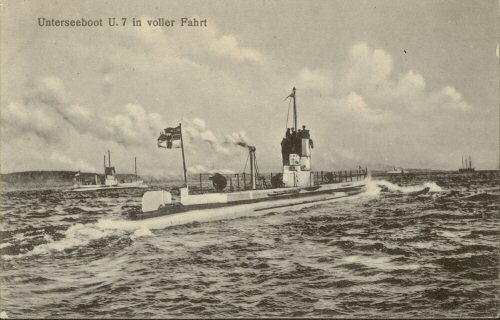 As the submarine was torpedoed before the post date it may be that this card was posted from Helgoland. 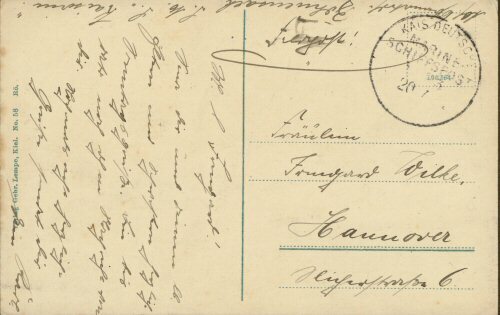 Postally used but date unreadable. 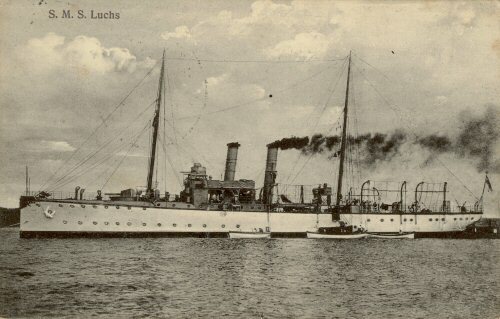 Navy ship post. 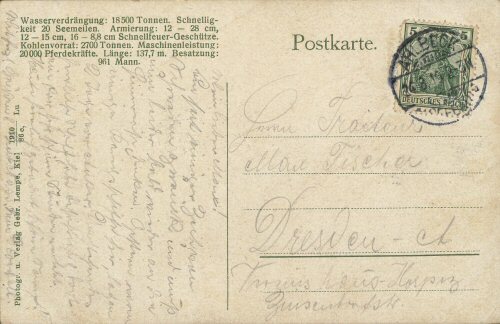 Postally used 24 Aug 1919.